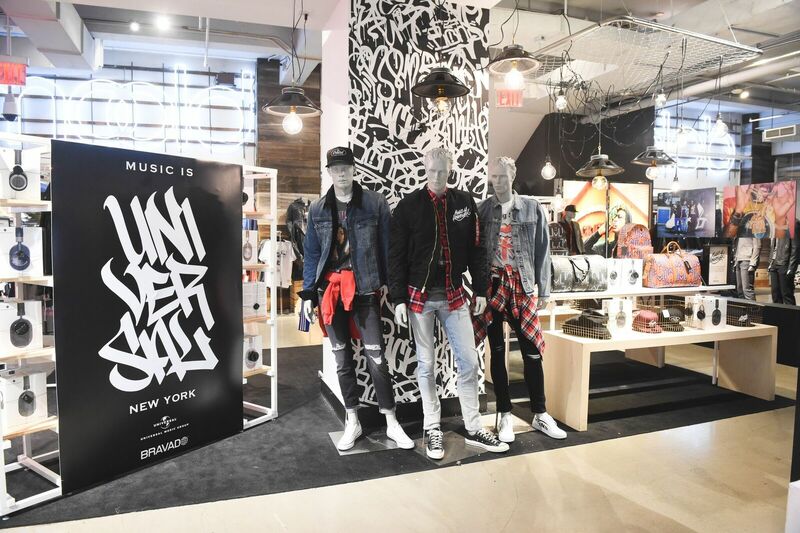 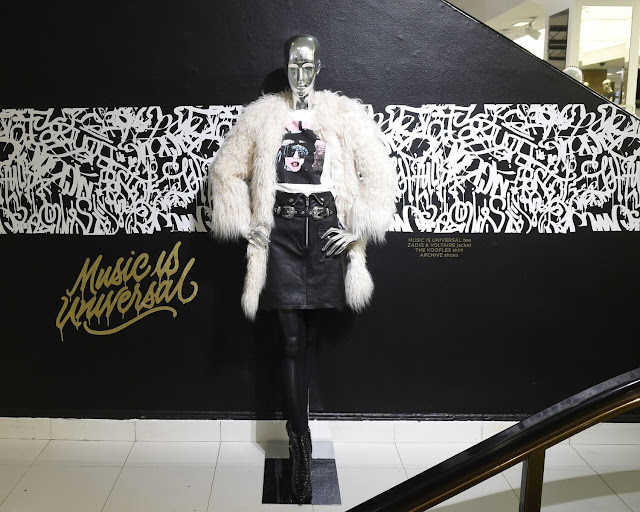 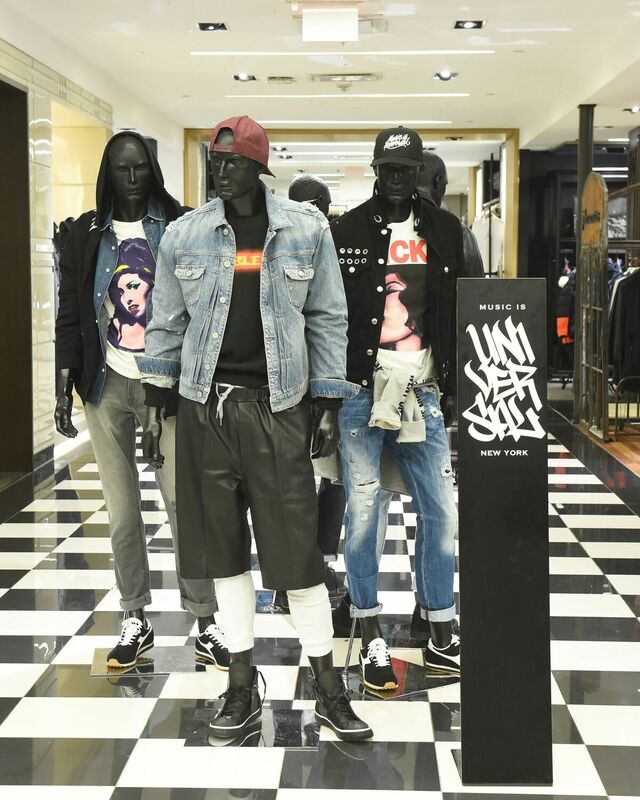 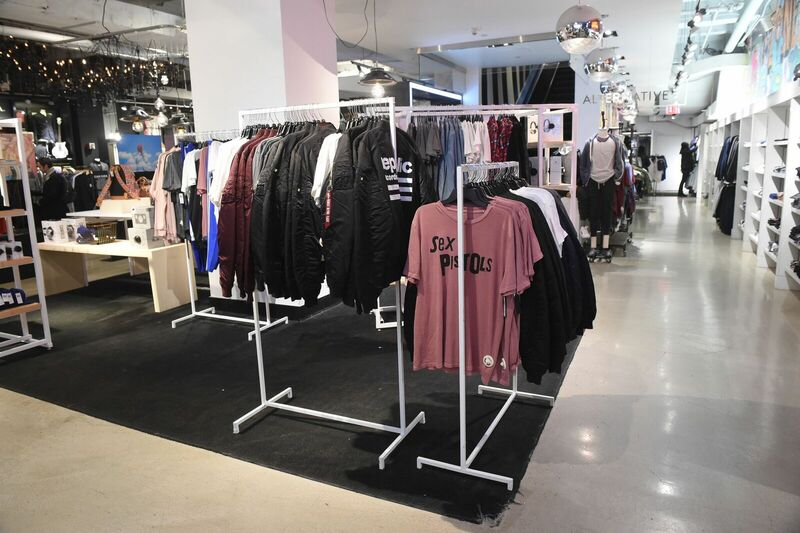 This morning the MUSIC IS UNIVERSAL pop-up shops and windows were unveiled at Bloomindale's 59th St flagship store with additional pop-up shops in the New York retailer's SoHo and Beverly Center locations. 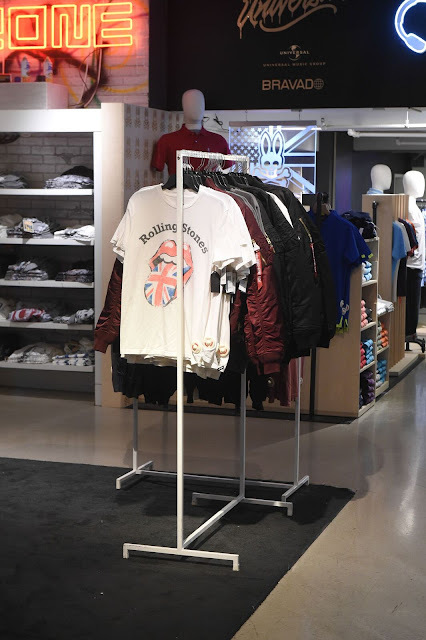 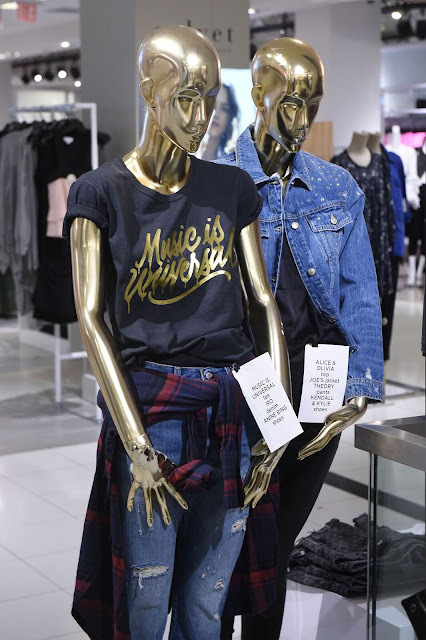 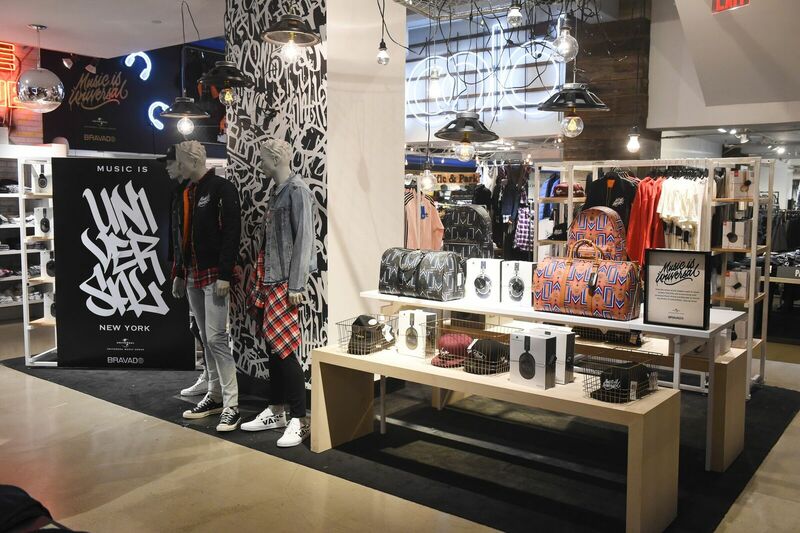 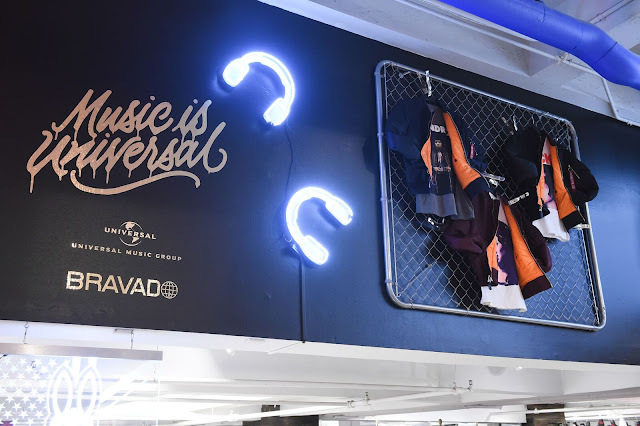 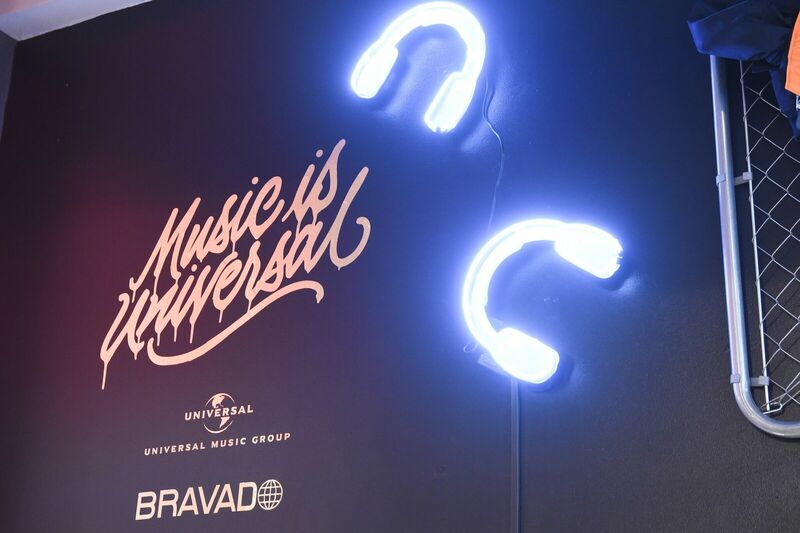 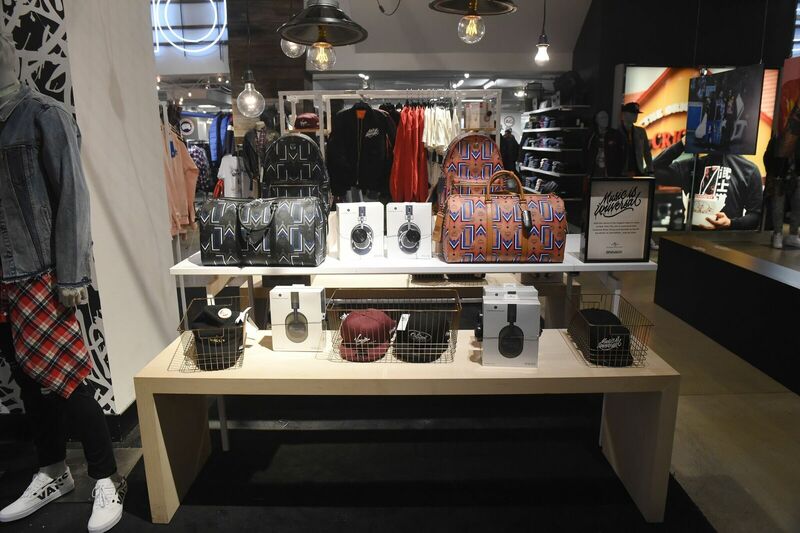 MUSIC IS UNIVERSAL is a tour-inspired retail experience from Universal Music Group and its leading global merchandise and brand-management company, Bravado, exclusively for Bloomindale's and presented by American Airlines. 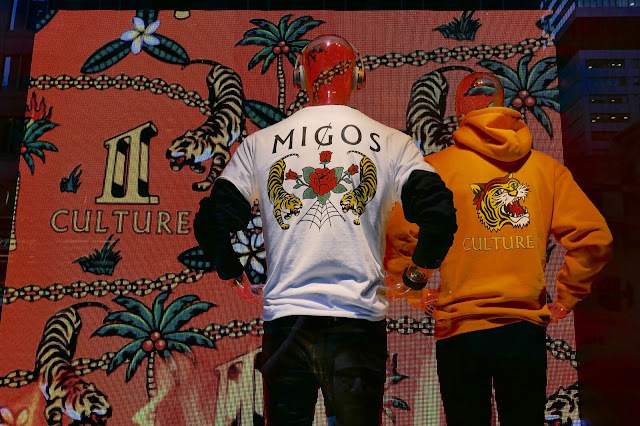 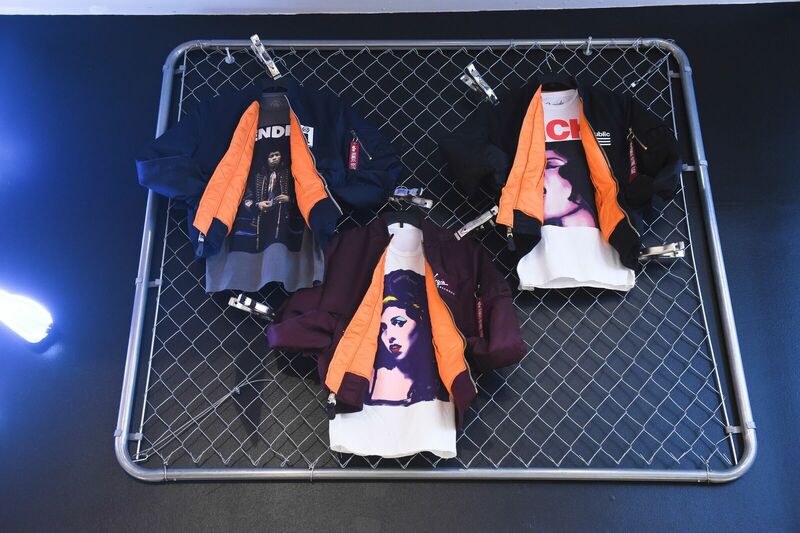 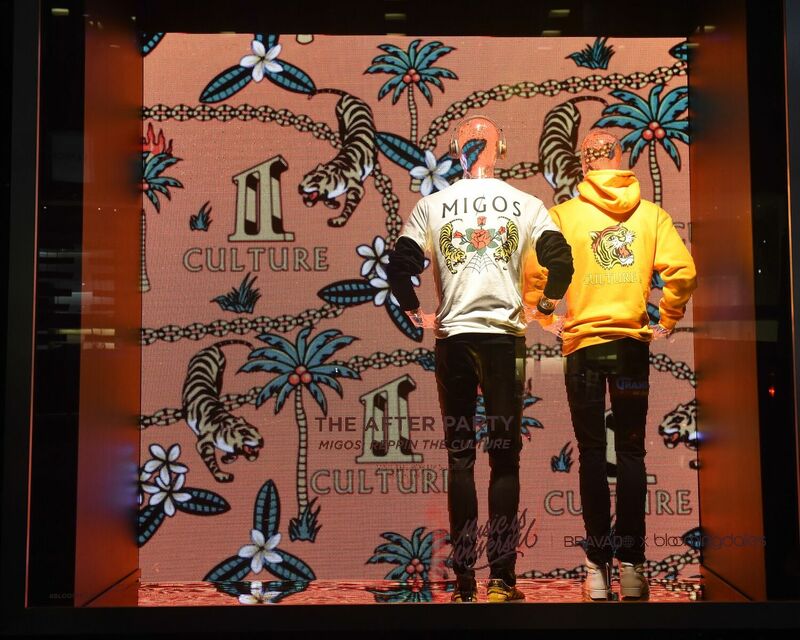 The store windows take fans from the concert merchandise booth to the green room, giving them a first look at new merchandise from Migos and two-time Grammy Nominees, Imagine Dragons. 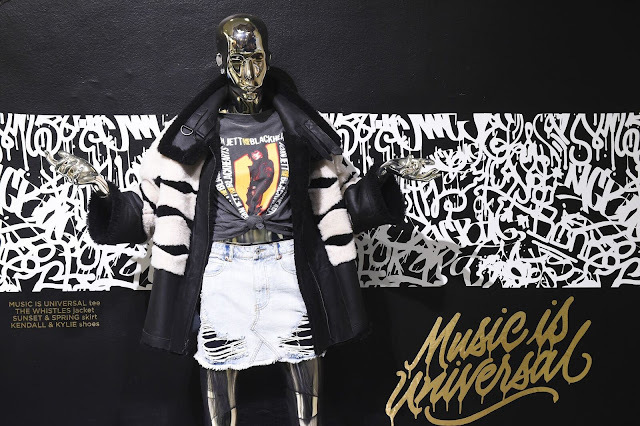 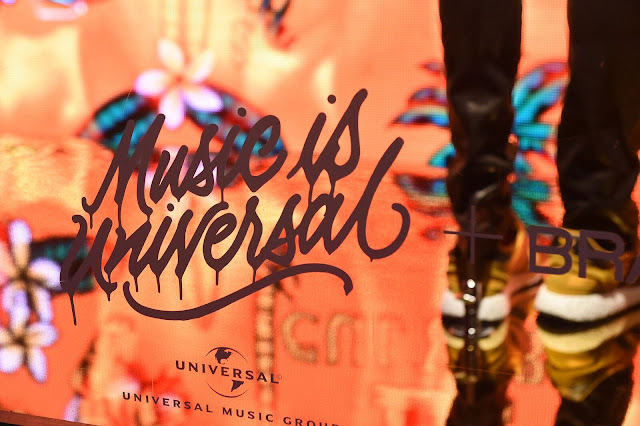 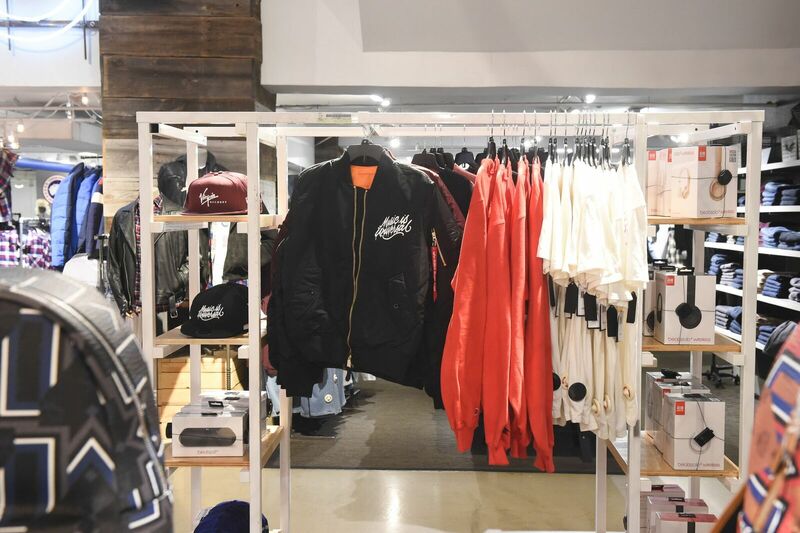 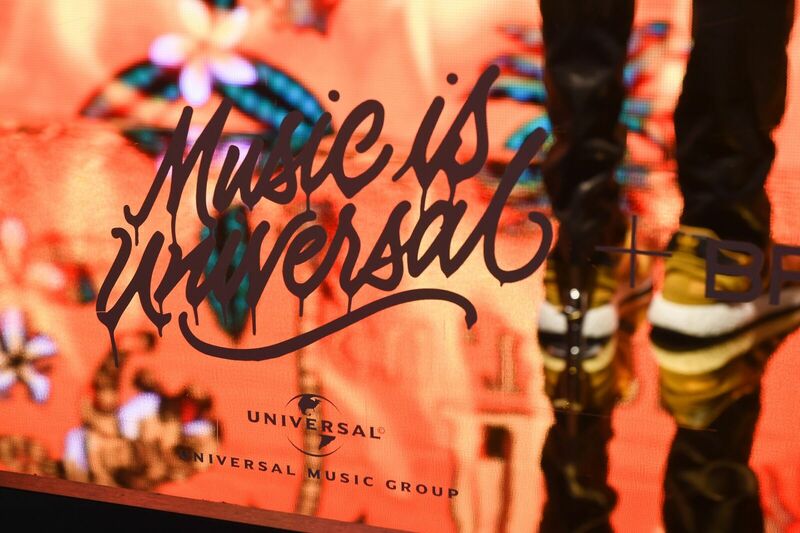 The Music is Universal Pop-Up Shops will include exclusive merchandise for men and women, including t-shirts ($38), Alpha Industry bomber jackets ($225) and New Era snapback hats ($35) showcasing artist and labels from Universal Music Group. 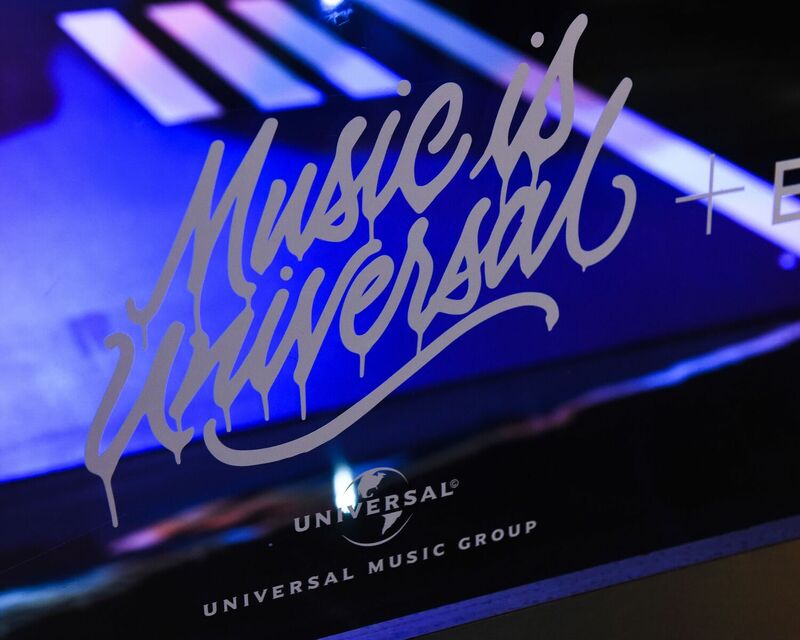 Additionally fans can find exclusive items on the Music is Universal Tour Bus that will launch later this month. 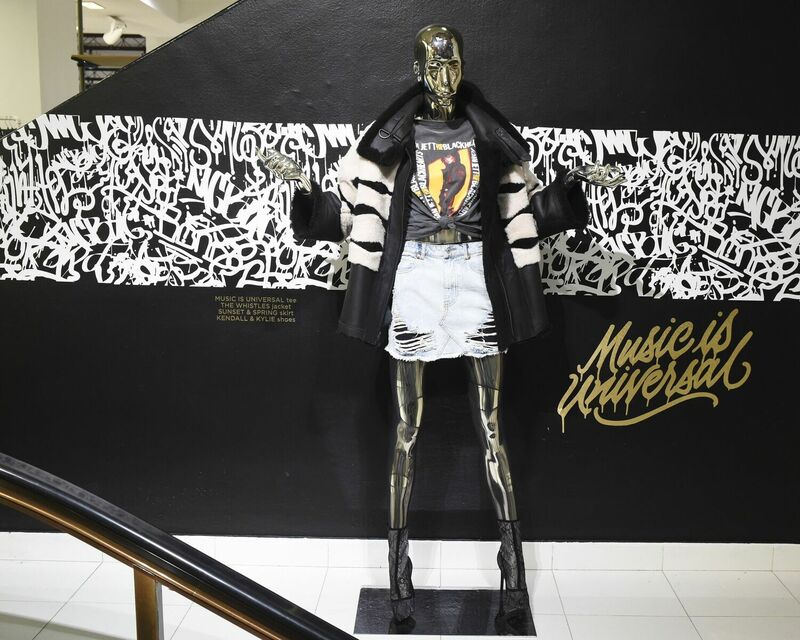 "Throughout popular culture, music has been a driving force - influencing fashion and art around the world. 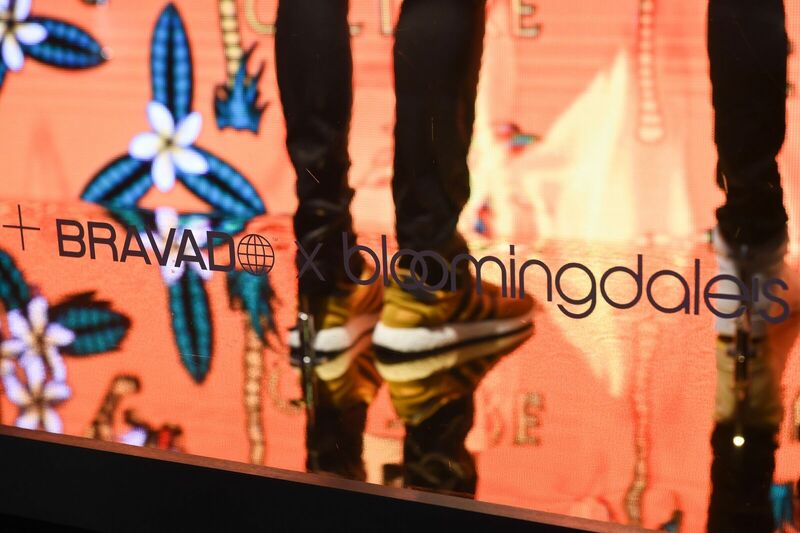 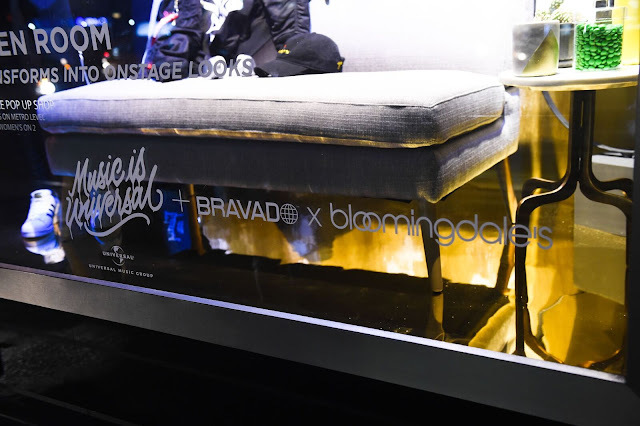 We're thrilled to be able to bring our artists to Bloomingdale's, an institution that houses some of the world's greatest fashion icons, to celebrate music and fashion during this special time of the year," said Mat Vlasic, CEO of Bravado. 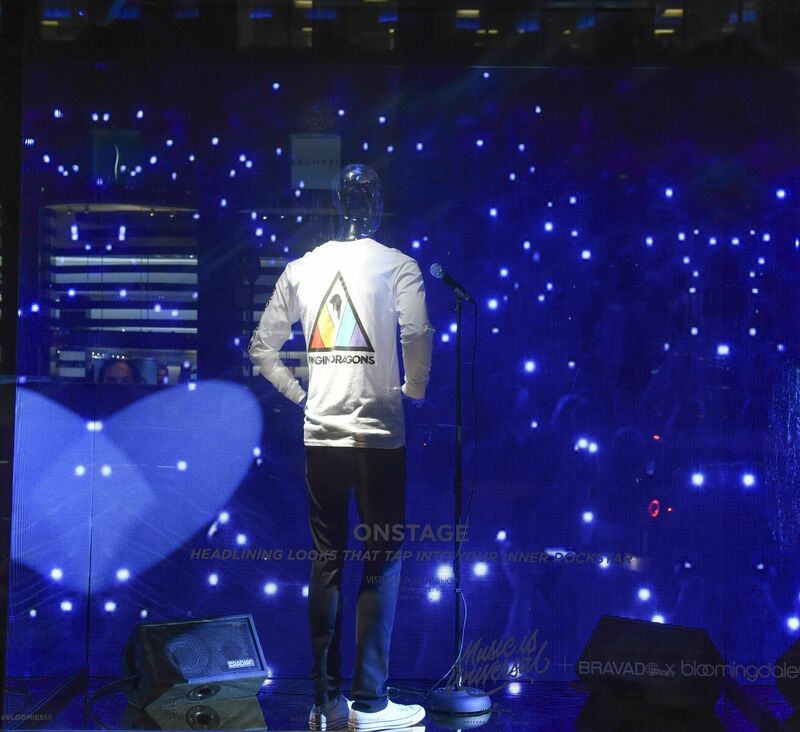 "This partnership is especially exciting to me. 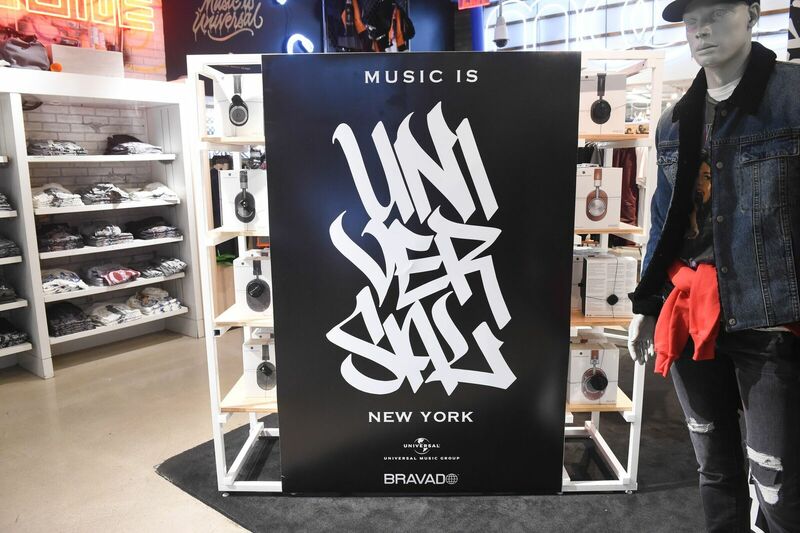 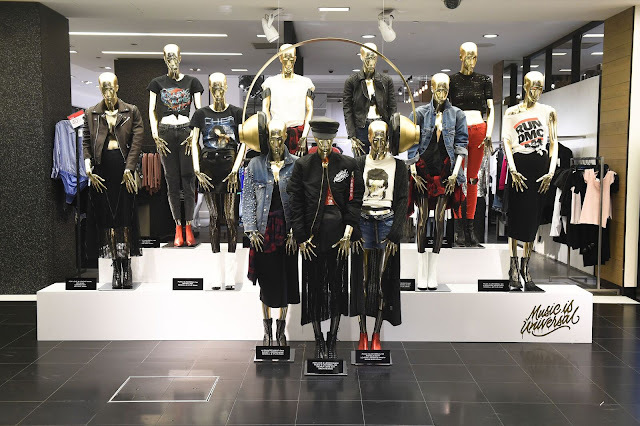 Using a multi-faceted approach with exclusive product, in-store experiences and surprise activations along the way we've created a one of a kind campaign celebrating the universal appeal of music. 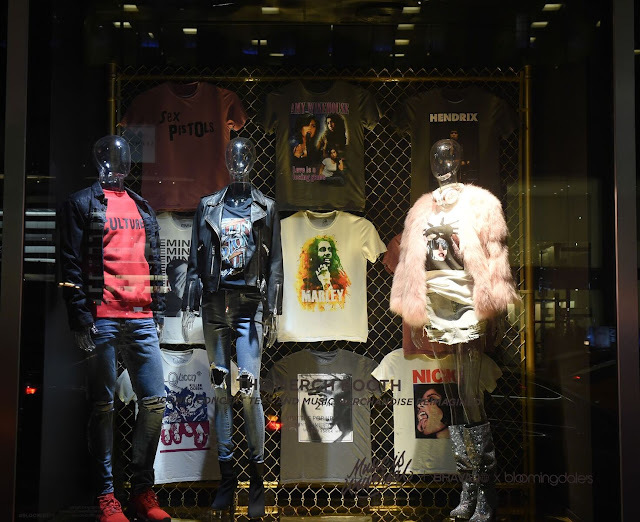 Given all that is happening with the music industry in New York this month it's important to Bloomingdale's to be part of this cultural moment," says Kevin Harter, Bloomingdale's Group Vice President, Integrated Marketing. 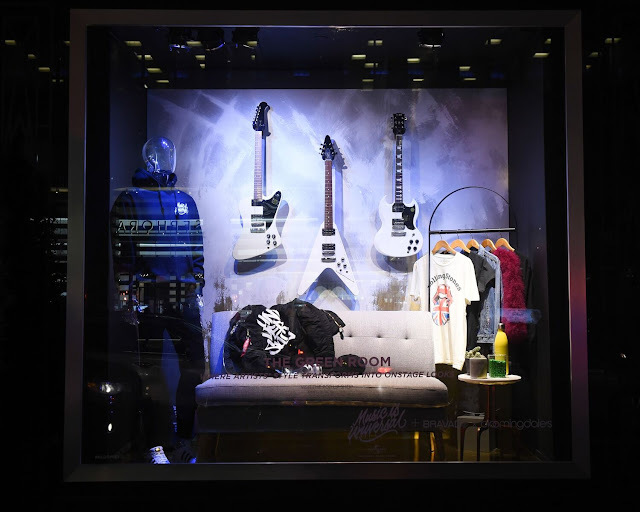 "This campaign marks the first in a larger strategy our newly created Integrated Marketing team will focus on to drive store traffic and offer continual excitement through in store activations and newness."